Need commercial roofing replacement or repair services? North West Roofing has been an industry leader in serving property managers, facility managers & maintenance managers with responsive, high-quality commercial roofing replacement & repair services for more than 50 years. We know that the safety and comfort of tenants, visitors, building staff & equipment are at stake when roofing is old, damaged, or leaking. That’s why we take our commercial roofing work so seriously. North West Roofing is your number one source for professional & timely roof replacement or repair for commercial facilities along Colorado’s Front Range. Contact North West Roofing for your commercial roofing needs. Got a commercial roof that’s tired, old & needs replacing? North West Roofing offers a variety of options for timely, efficient & cost-effective roofing replacement. 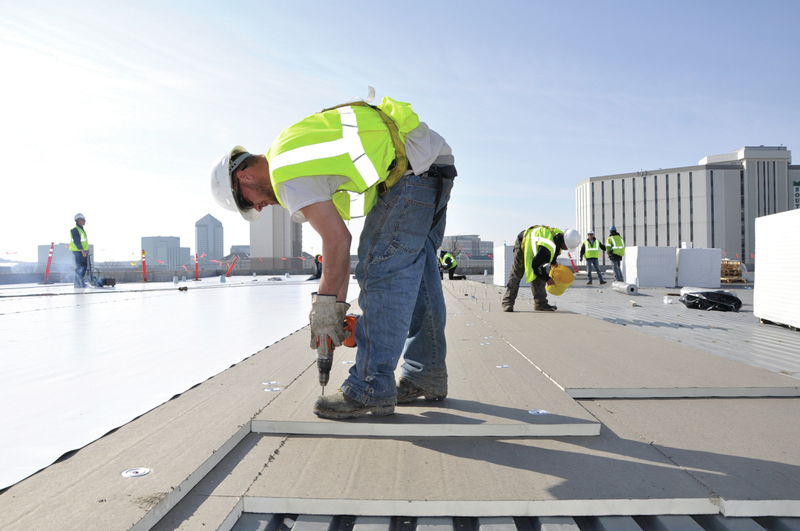 Our commercial roofing replacement services can help add more years to the life of an old building, improve energy efficiency & provide a fresh, new look. North West Roofing helps protect & preserve the roofing on your commercial property by catching problems before they turn into something major. We also offer ongoing roof maintenance programs, with periodic inspections & handling of roofing repairs as needed. When water starts dripping into an office, warehouse, or multi-family property, time is of the essence to prevent further damage. North West Roofing offers fast-track response for emergency leak repairs, with seasoned experts on call to the source of the leaks, and get them fixed. Why Choose North West Roofing? Need commercial roofing replacement or repair?